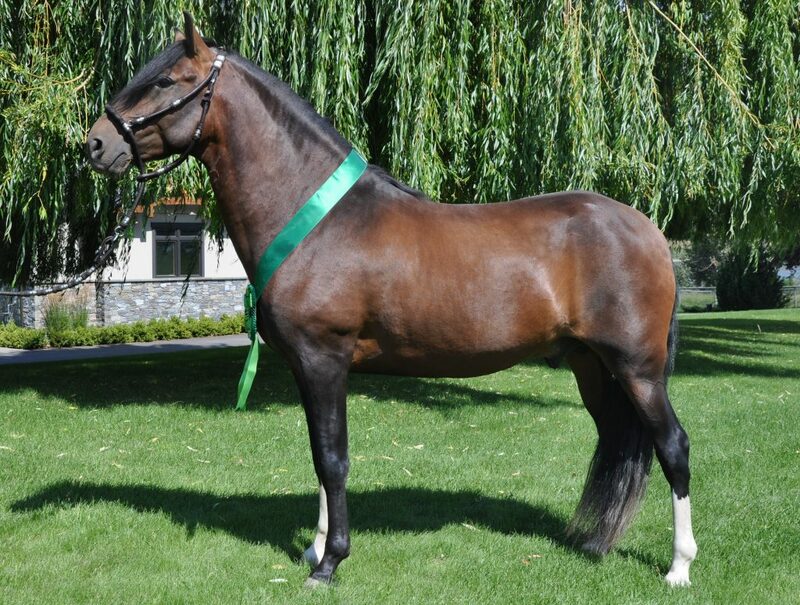 RSTD Ariosto is a beautiful bay stallion, son of the Peru National Champion Breeding Stallion & US National Champion of Champions stallion FCY Vandalo. RSTD Ariosto has been a wonderful show horse for us, who we are reluctantly offering for sale as we have too many stallions at this time. Ariosto is a very honest horse – one who can excel at anything asked of him. He is very personable, and would love to have an owner who will be “his” person. RSTD Ariosto is trained to side pass, turn on the haunches, and has been working with our trail course obstacles, in addition to traditional show ring training. He has travelled thousands of miles to shows, and is very friendly and easy to handle. We anticipate that he will take to the trails like he does with everything else we have asked of him. 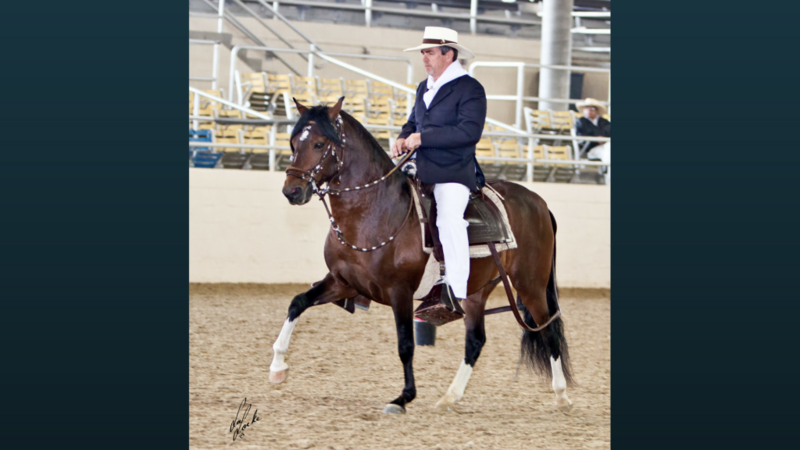 Ariosto has only just turned 6 years old and has already been a Canadian National Champion Breeding Stallion and Champion of Champions Performance Stallion and twice US National Reserve Champion Amateur Performance Stallion. 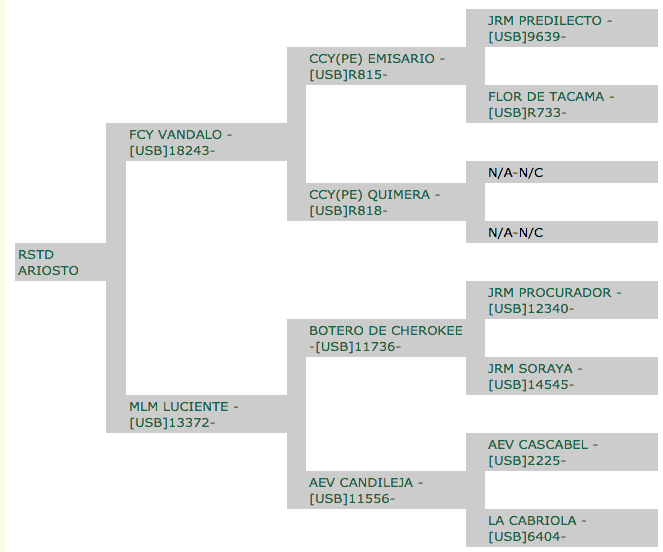 He consistently places well in the breeding and pisos classes. Ariosto has been threes times a Champion Breeding Stallion at regional shows, and was the 2018 Canadian National champion breeding stallion, and places well in Pisos. He was third place in Stallion Pisos at the 2017 US National show in a highly competitive and large class. RSTD Ariosto is truly a pleasure to be around. We are looking for show home for him, to continue his excellence in that area, but are most concerned about finding him a true lifetime partner.